Buying a fur coat or jacket can be the largest single personal purchase that a person makes. As fur coat's are expensive but can last for a lifetime and be passed on, therefore it is really important you get it right. The benefit of investing in quality high end fur is that it look's great and it lasts you a long time. Also the warmth can't be matched by any other source. 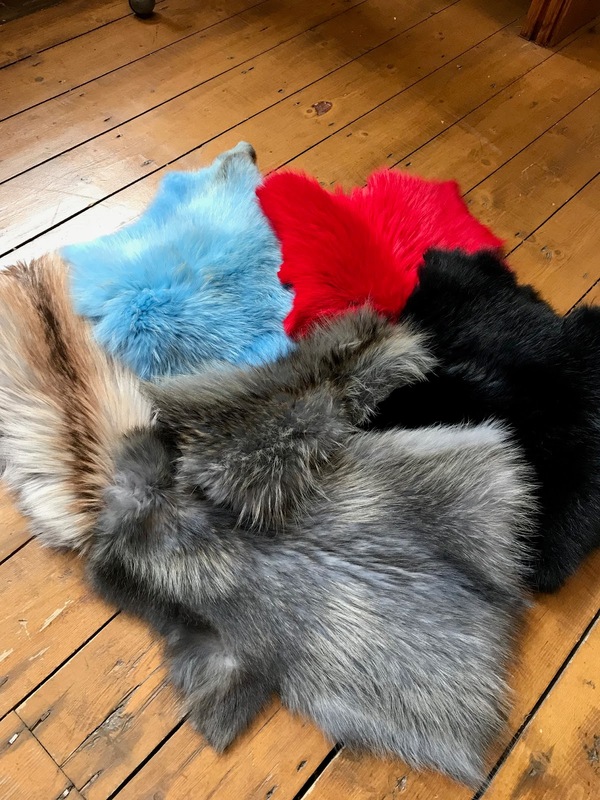 I have recently been working with Glyns on some collaborative work and modelling with them as I do love fur and was interested to learn more about it and what they do. Glyns collection begun in 1921 in Manchester, founded by Mark Gylnn he started in the trade as a young boy and opened his first retail shop on Deansgate. He started from a small business and became a chain of 14 shops all over the UK. Over the years the company's reputation grew, as the excellent quality of their merchandise and service became apparent. In the 80's Glynn and Leinhardt (now Glyns collection's) collaborated with the great fashion house of Christian Dior selling the most magnificent products and even held a joint fashion show at the Midland Hotel. They were the sole stockists for Christian Dior in the late 70's 80's. Since the turn of the century there has been a steady revival in the fur trade and Glyns collections is one of the few businesses that has managed to survive the tough years putting it in prime position to give quality service and craftsmanship. As when it comes to quality in fur, origin and condition of fur, sheen, lustre silkiness and finish are just a few of the things to consider which can be best assessed by their trained professionals. 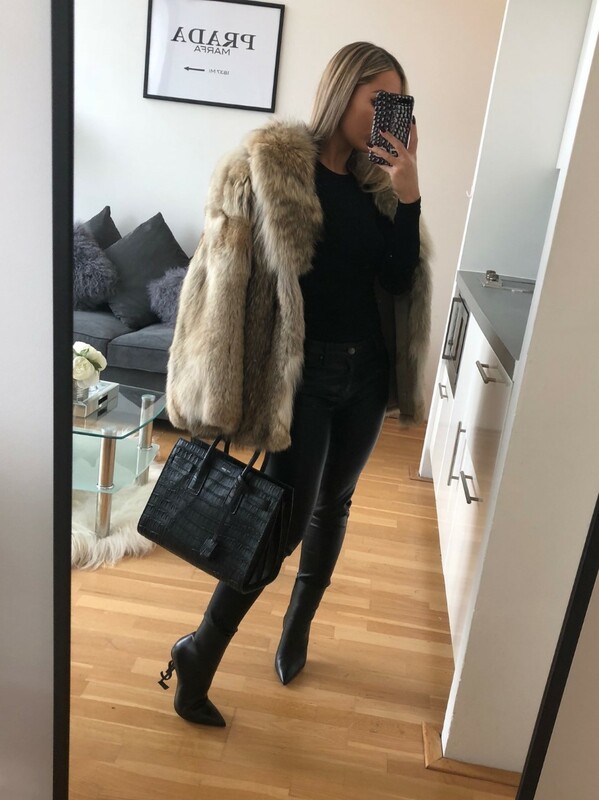 therefore, when you purchase from Glyns collection you can rest assure that you are getting the best quality product as they only deal with Scandinavian origin assured fur - fur that comes from a country where national or local regulations or standards governing fur production are in force. Working with fur requires specialised skills and facilities which Glyns collections masters. They have an in house fur work shop with expertise of three furriers, two finishers and they all have 60+ years experience. They have a design room in house and provide alterations where an old vintage fur coat for example a mink coat, can be altered and revived. They can also alter or re-model existing items that you have whether it was a full re-model of a coat to adding bits of fur or trims to your favourite items. Glyns collections focuses on mainly high end fur such as mink, fox, chinchilla, sable, raccoon. trimmings, scarves, ties and the list goes on. On a daily basis their work room is packed with making up orders and stock for mainly people in the UK mainly but they still provide some work for fashion labels, fashion students and brands for Paris and London fashion week. They have had three coats featured in vogue and even made the pink fox fur coat that Zara Larson wore in the X factor final. If you you think a full fur coat is too pricey then Glyns will still have something furry for you whether its a fur scarf or adding a fur trim onto a hood or anything else you can think of. As most things are hand crafted in house they can attach a fur trim to a coat or scarf you already have. I designed my own personal fox fur scarf by choosing the colour, style and length. They also made a hole through the scarf so I could loop it through and wear it closed. You can choose to make one from the different colours below! To get the best experience I would recommend visiting their workshop in Manchester as they are so lovely and helpful. Feel free to inbox me on instagram with any questions on personalising your own! I have been saving the scarf since the summer to wear in winter so some pictures of me styling this will be up soon. 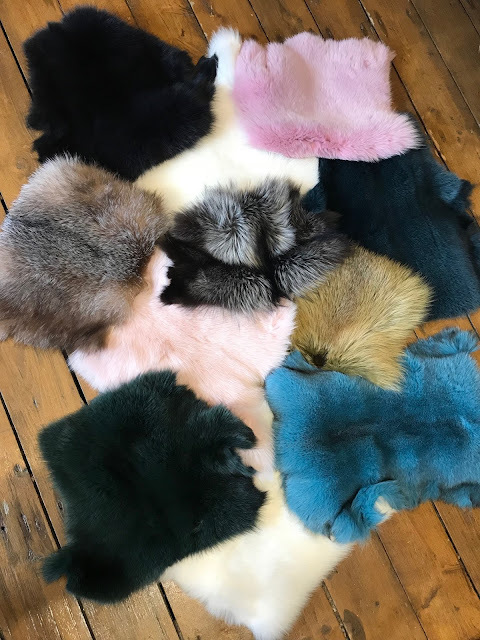 Fur trimmings to design your own scarf!